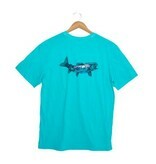 A must for all fly fishers, we brought the much loved Mountain Trout in fresh color-ways for spring. 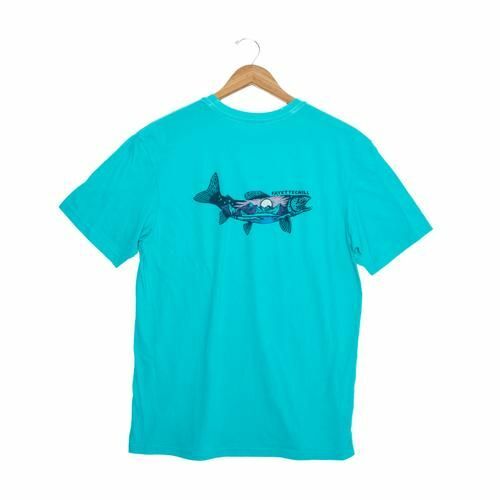 Inspired by American Traditional tattoo style, we are proud to partner with local tattoo artist Drew Wilson to bring you the Special Edition Mountain Trout tee. Printed on the Smokehouse Blend of 50% organic cotton + 50% recycled poly. Standard fit tee, designed for everyday use. Art by Drew Wilson. 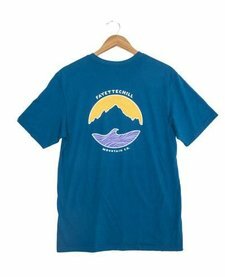 Printed in California & Designed in the Ozark Mountains.